they learned. With this historic revision, new author Charles Gillis has updated the entire package, replacing ALL figures with CAD-generated artwork, adding new illustrations, representing metric drawing practices alongside English, and including content from drawing standards such as Dimensioning and Tolerancing, Engineering Drawing Practices, Welding Symbols, Orthographic and Pictorial Views, Surface Texture, Undimensioned Drawings, and Types and Applications of Engineering Drawings, among others. Material has been rearranged for better presentation and an improved reader experience. Chapters on views, dimensions, surface finish, threads, and gears have been expanded, while new material on splines and cam prints has been added. Brand new chapters covering welding symbols and welded parts, sheet metal parts, and cast, forged, and molded plastic parts will be of particular interest to readers working with these processes. 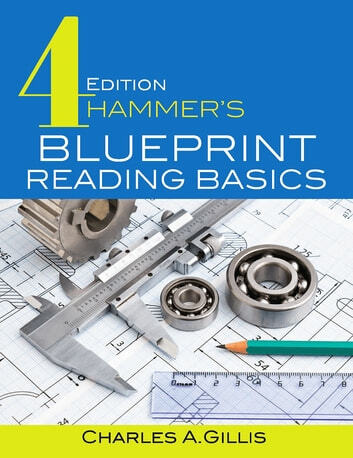 Each chapter contains a thorough explanation of the topic at hand, accompanied by detailed professional drawings, review questions, and corresponding worksheets, making this an ideal reference for students and instructors alike, and a must-have for mechanical engineers, draftspeople, inspectors, machinists, and students learning the manufacturers trades. This groundbreaking work now features a broad presentation of metric drawing standards and internationally recognized symbols, making it a truly global reference. • Over 600 PowerPoint presentation slides for using the book in the classroom. The arrangement mirrors the book and can be customized by instructors. 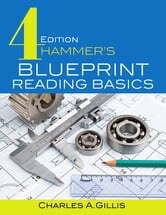 • Blueprint Reading Course Recommended Syllabus and Lesson Plans, to be customized to suit each instructor’s needs. • PDFs of Selected Figures and Tables. • PDFs for Review Questions and Answers. • PDFs for Worksheet Problems and Solutions. McGraw-Hill National Electrical Code 2008 Handbook, 26th Ed.